Two types of people argue that gold is not an investment: people who love gold and people who hate gold. 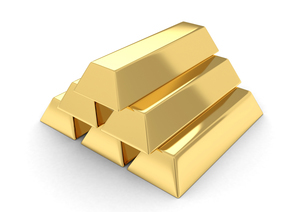 People who love gold are often referred to as “gold bugs”. Gold bugs argue that gold isn’t an investment, gold is money. To a real gold bug, “paper money” is little more than trash which hasn’t been disposed of yet. Real money is a soft yellow metal. To this way of thinking, the value of gold doesn’t change, the value of paper currencies changes. When gold moves from $1,300/oz to $1,400/oz, they don’t see that as the value of gold increasing, they see it as the value of the dollar decreasing. When you invest in a company, the company should (theoretically) combine raw materials, capital, and labor to produce an output which is greater in (market) value than all of the inputs combined. This is how new wealth is created. Gold, when used as an investment, doesn’t create wealth. Gold just sits on a shelf and collects dust. Only about 10% of gold is used for industrial wealth-creating purposes. Gold may rise (or fall) in value and thereby make the investor richer (or poorer), but it cannot truly create a “return” of newly created wealth. Most commodities have a clear intrinsic value. Grain and pork bellies keep people fed, cotton keeps us clothed, natural gas keeps our homes warm. With only 10% of gold used for industrial purposes, the main “value” of gold exists only because people think its valuable. This feels remarkably similar to “Kim Kardashian is famous because she is famous.” One day the whole world might wake up and realize that both gold and Kim Kardashian are ridiculously overvalued. Gold has performed remarkably well over the five years, but any investment can be seen as performing well if you cherry-pick your start and end date. Gold has performed quite poorly over the last year, but the same cherry-picking rules apply. Each of these arguments is pretty easy to tear down if one is so inclined. The gold bug argument can be defused by pointing out that you could argue with equal validity that oil is money and that the price of oil is a constant against which the prices of currencies fluctuate. Similarly, you could point out that raw land doesn’t create wealth, but most people see that as an investment. You could also point out that humans have seen gold as intrinsically valuable since it was first discovered — and we as a species do not appear to be evolving all that quickly. Finally, the fact that something that is a lousy investment does not make it a non-investment, as my portfolio can attest. In economics, investment means “the accumulation of newly produced physical entities, such as factories, machinery, houses, and goods inventories”. In finance, investment means “putting money into an asset with the expectation of capital appreciation, dividends, and/or interest earnings”. As gold is not “produced” (unless you are investing in a gold mining company), gold seems to fail the economic meaning of “investment”. On the other hand, gold can provide capital appreciation, so it does pass the financial definition of “investment”. If you choose to refer to gold as an investment, you can use the financial definition of investment to support your argument. If you choose to say that gold is not an investment, you have an array of arguments at your disposal, though none appear to be extremely strong. In the end, terminology matters far less than return.